SOLD!!! 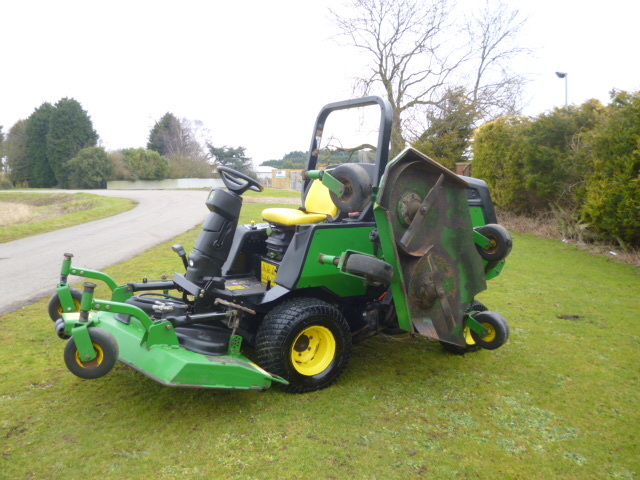 JOHN DEERE 1600 WAM TURBO MOWER 2010 SOLD! Brief Description: HOURS 2364. YEAR SOLD NEW 2010. 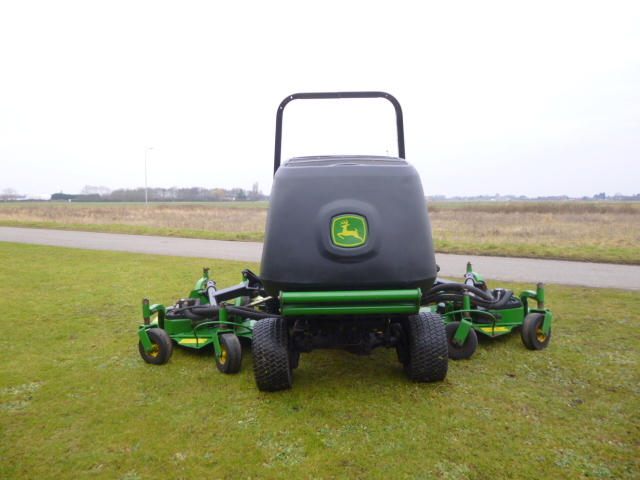 JD BATWING RIDE ON MOWER. 4X4. LARGE AREA CUTTING 3 INDEPENDENT DECKS. 60HP 4 CYLINDER DIESEL ENGINE. 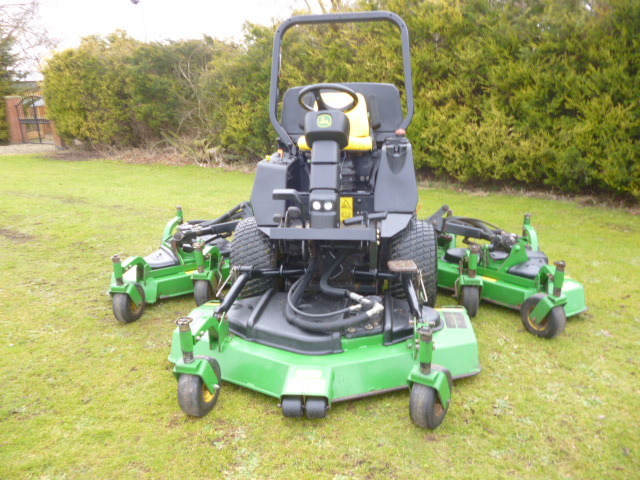 More Information: Mowing at the Max With sweeping deck coverage, an innovative baffling system that virtually eliminates clumping and wings that follow ground contour, this machine delivers a quality cut acre after acre. 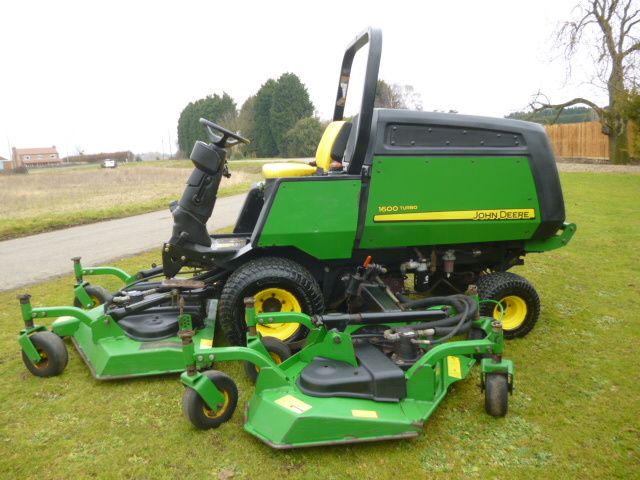 Even more impressively though, is the 1600 Series II Turbo’s ability to keep mowing continuously hour after hour, day after day. A high-torque engine and an innovative top-draw cooling system ensure this heavy-duty mower can more than go the distance. It's made to run hard, and run long - in either full-time or on-demand 4WD - without running hot. Maximum productivity with hydrostatic transmission and transaxle. Controls and instrumentation are convenient and easy to find. Features are provided for convenient transport. Powerful turbocharged diesel engine for increased performance. Standard high-backed air-ride seat provided for operator comfort. 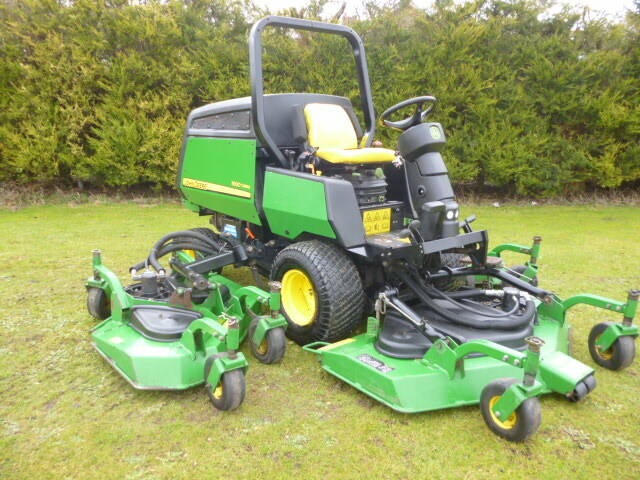 Mower decks have many performance and convenience features. Exclusive air-intake system draws clean air from the top of the machine for consistent cooling. Two-post folding Roll-Gard� rollover protective structure (ROPS). Factory-installed four-post rollover protective structure (ROPS) order option.